As a subscription business, you need to capitalize on any opportunity to manage your customer lifecycle and optimize for revenue growth - this means being able to adjust your subscription offerings on the fly. 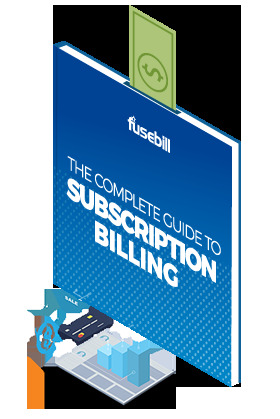 With Fusebill’s subscription Upgrade/Downgrade capability, moving from one subscription plan to another has never been easier. Whether it’s an upgrade or downgrade, a billing frequency change, a move from a free trial to a paid plan, or a custom migration, Fusebill automatically manages all the complex back-end adjustments for you. Why should I adjust my subscription plans? Managing your customer lifecycle requires having insights into customer behavior. Your customers inform your pricing strategy as their behavior indicates what plan adjustments are required to maximize revenue. Making changes to a subscription is extremely complex and time-consuming to accomplish manually. With each change, settings need to be switched to initiate the replacement of one plan with another. There are also accounting adjustments that need to happen – such as proration of charges on the new subscription, cancellation of or partial reversal of charges on the old subscription, ledger movements for deferred and earned revenue and tracking MRR contraction and expansion. Fusebill’s Upgrade/Downgrade capability automates the entire process and gives you the power and flexibility to satisfy customer needs in real-time. Because Fusebill automatically takes care of the back-end, customers can adjust their own subscriptions through Fusebill’s self-service portal. Changes are handled by defining plan “families” in your Fusebill catalog. A plan family is a set of plans that are related to one other. For example, “Bronze”, “Silver”, and “Gold” plans may make up a plan family for a particular service offering. 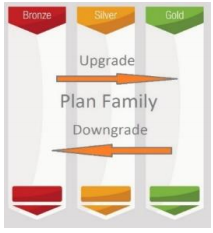 This makes it simple to define the movements between plans - the path from Bronze to Silver would be considered an “upgrade” and the path from Silver to Bronze would be a “downgrade”. Change paths are configured in the Fusebill catalog as “templates”. These templates define exactly how the change will occur between two subscription plans, ensuring that things like product quantities, discounts, price uplifts, etc. are all moved over in a seamless way. Subscription changes are tracked and reflected in a “migration” report which shows all changes that have occurred over a specified time-period. The report can be filtered by source and/or destination, change type, frequency etc. This information helps you identify revenue opportunities and risks within your subscriber base - giving you the ability to map your revenue journey and plan subscription evolutions. Fusebill’s subscription Upgrade/Downgrade capability enables quick and easy movements from one subscription plan to another. This means you have more time to focus on optimizing your customer lifecycle. Connect with one of our experts to see how Fusebill's upgrade/downgrade capability can impact your business!